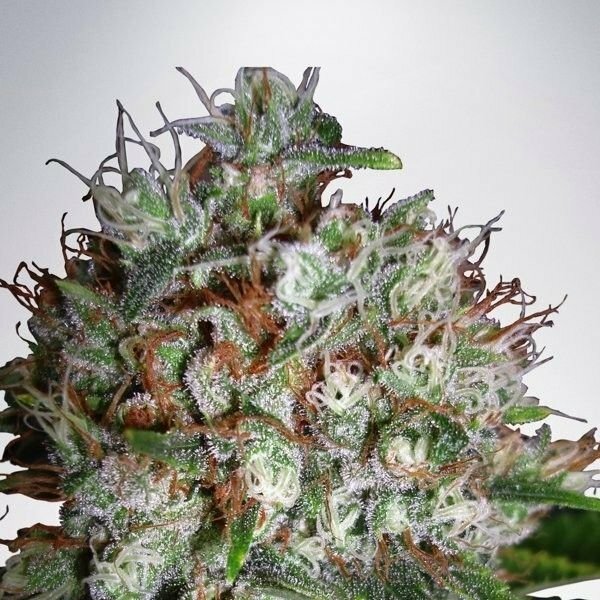 Big Bud XXL (feminized) by Ministry of Cannabis is an almost pure Indica plant, that produces such big, round buds, it simply had to be named XXL. The lime green buds are covered with white hairs and crystals and have a low leaf to calyx ratio, making it easy to trim the crop. The perfect unification of quality and quantity. Big Bud XXL by Ministry of Cannabis surpasses its cousin Big Bud by far and becomes a monster yielder when cultivated outdoors. But it is also perfect for a SOG setup as well, because the plants remain short and bushy, with the typical structure of an Indica. Big Bud XXL by Ministry of Cannabis develops a large, round central bud, totally covered in shiny crystals and it takes her only 7-8 weeks to finish its flowering period. The produced buds have a low leaf to calyx ratio, which makes it easy to trim the crop. Big Bud XXL by Ministry of Cannabis is a very good yielder and produces an average harvest of 500-650g/m² indoors. Grown outdoors, the plant mutates to a real monster producer and can yield up to 1kg per PLANT! Big Bud XXL by Ministry of Cannabis is the perfect unification of quality and quantity, because it doesn't compromise a bit when it comes to quality. The THC level of the final product of Big Bud XXL amounts to 15% and induces a happy high when smoked.